O2 has taken to its Twitter account to announce that the Ice Cream Sandwich update is now availble for its Samsung Galaxy S2-owning customers. In a move that's not so much post-PC as present-PC, you'll still need to connect your S2 to a computer to access the Android 4.0 software update via Samsung's Kies software. The oxygenated network has stayed true to its word that the update would land "before the end of March" after earlier reckoning that mid-April was a likely looking release date. O2 joins a select line up of networks offering the ICS update already, with only Three managing to roll it out thus far - Vodafone, T-Mobile and Orange are feverishly working on the software testing in order to get the software to customers as soon as possible. We're tracking who's getting the update when on our handy Samsung Galaxy S2 Ice Cream Sandwich hub page, so stay tuned for more info. Those free-spirited SIM-free Samsung Galaxy S2 owners are laughing though, having been first in the queue for the updated OS. 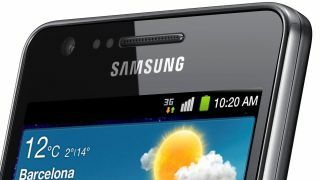 UPDATE: They're not laughing after all, as delays mean that Samsung is still testing the software for SIM-free Galaxy S2 owners. Sorry!